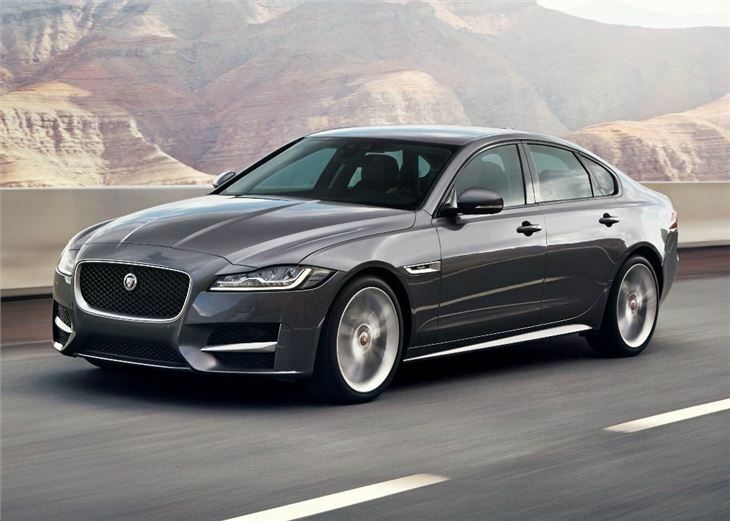 The second-generation Jaguar XF has gone on sale, with order books starting at £32,300 for the 163PS 2.0-litre diesel. 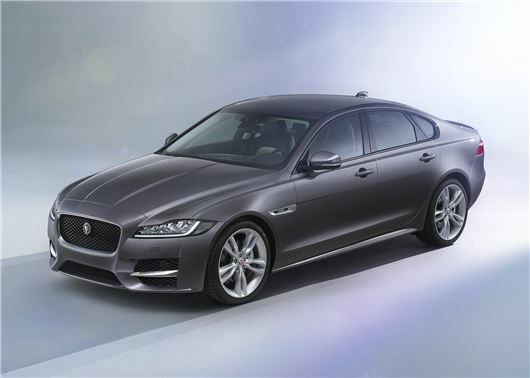 The XF saloon will reach showrooms in September and return 71.7mpg and 104g/km of CO2. A new XF Sportbrake is expected to follow in the spring of 2016. Available in four trims - Prestige, R-Sport, Portfolio and S –the rear-wheel drive XF is powered by a new economical range of British-built 2.0-litre Ingenium diesel engines, with 163PS or 180PS. The entry-level 163PS unit looks impressive, on paper at least, with 380Nm of torque available from 1750rpm. The four-cylinder engine will return a claimed 71.7mpg and 104/km of CO2 when mated to the standard six-speed manual gearbox. An eight-speed transmission is also available, for an additional £1750, although economy drops 68.9mpg. An uprated 2.0 Ingenium diesel engine is available with 180PS and a thumping 430Nm of torque from £32,800. Claimed economy drops to 65.7mpg as a result, while CO2 emissions rise to 114g/km. Like the 163PS unit, the 180PS engine can be mated to a six-speed manual or eight-speed automatic ‘box. 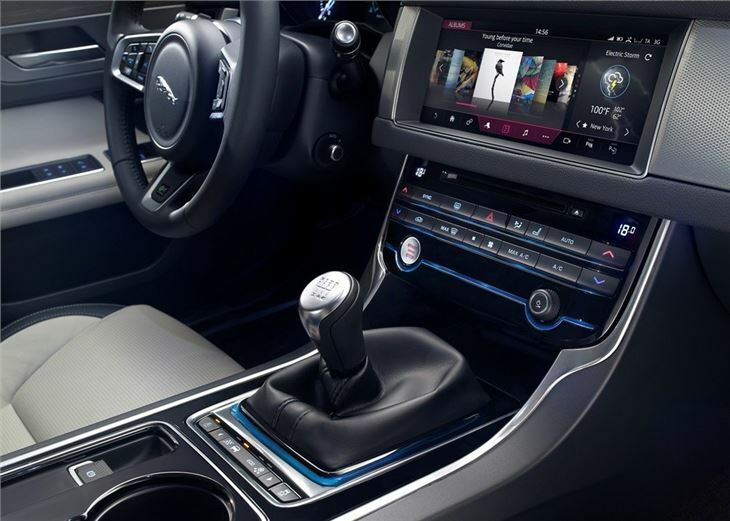 For £49,950, the Jaguar XF can be specified with a 3.0-litre V6 twin-turbo diesel with 300PS and a colossal 700Nm of torque, fed through an eight-speed automatic gearbox. The high powered diesel also gets improved suspension and brakes, while claimed economy is 51.4mpg and 144g/km of CO2. The F-Type’s 380PS 3.0-litre V6 supercharged petrol unit is also available for £49,950, with the same sports set-up and 450Nm of torque. The petrol is also the least efficient engine in the XF range though, returning 34.0mpg and emitting 198g/km of CO2. The XF uses the same double-wishbone front suspension set-up as the F-Type, with aluminium suspension at the back, which should make it sharper to drive with more grip and reduced body roll in the corners. Like the XE and F-Type Coupe, the XF uses an aluminium construction and weighs a considerable 190kg less than the old XF. The exterior takes a number of styling cues from the Jaguar XE, with a square front, prominent air intakes, enlarged grille and an aggressive wraparound bonnet. 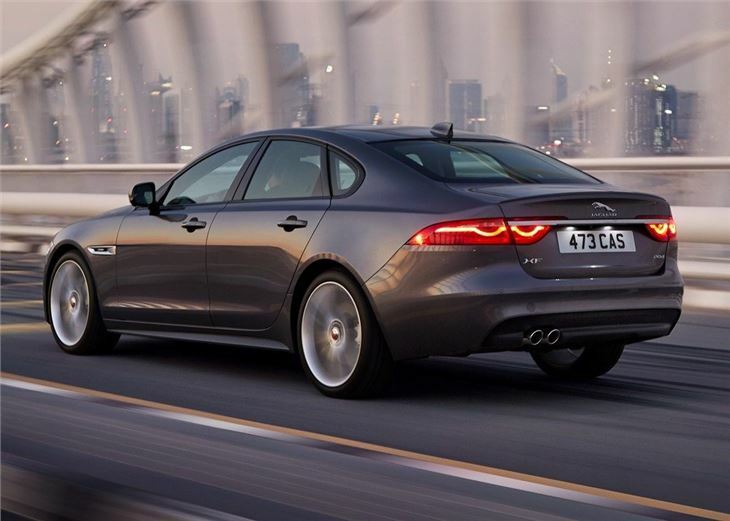 However, the XF retains its sleek headlights and coupe-like design, while the rear of the car is uses the traditional XF shape, using a similar sloping tailgate and angular rear light clusters. The second-generation XF is 7mm shorter than the old model, but bigger inside with a 51mm gain in wheelbase length. 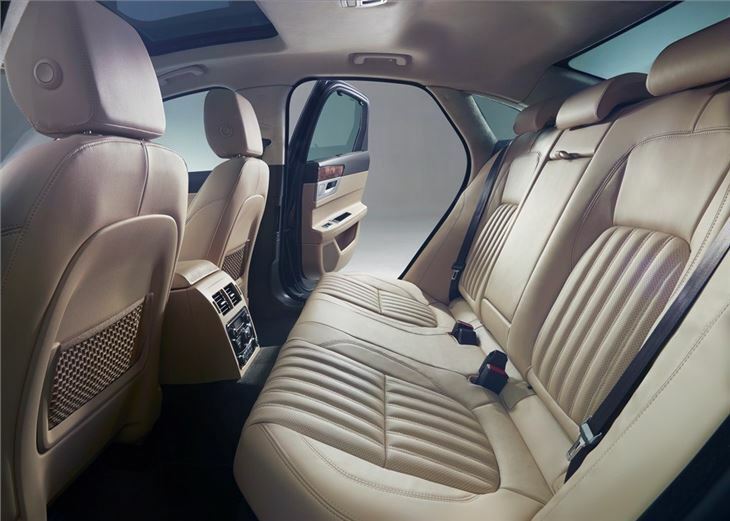 Boot space in now 540 litres, while interior improvements more head and leg room all-round, along with an-new 10.2-inch touchscreen infotainment system, revised smartphone connectivity and text-to-voice technology, which helps to reduce driver distraction by reading out incoming SMS messages. Range topping models also get a 12.3-inch TFT instrument cluster features four visual themes and full-screen navigation display.